Shuja Nawaz, director of the Atlantic Council’s South Asia Center, commented on North Korea’s recent nuclear tests as part of a discussion for PRI‘s The World. FREDERICK KEMPE: Welcome. Welcome to all. Welcome to the Atlantic Council and to this Commanders Series event with U.S. Army Chief of Staff George W. Casey. I’m Fred Kempe, president and CEO of the Atlantic Council. We’re delighted to have you all here with us today. Frank Kramer, vice chair of the Atlantic Council, who I’ll introduce in a minute, will introduce General Casey, so I won’t do that. However, I will say one thing, and that is many of the people in the audience may not know that you were a senior fellow – you served as a senior fellow at the Atlantic Council. And what pleases me the most about that is it’s proof positive that this is not an impediment to a military career. As many of you know, the Commanders Series is one of the council’s flagship public speakers series, providing a platform for U.S. and European senior military leaders to share the security debate with us here in Washington, very often bringing to us information from the field that just needs to be brought into America’s capital. We’ve had people from the EU commander dealing with the Congo to the U.S. commander dealing with the Arctic. One of our previous speakers in this series, General Jones, spoke as Supreme Allied Commander Europe when he was here. He kicked it off. He then became chairman of the Atlantic Council. Last night, he outlined at one of our events in fascinating detail how different the national security challenges are today than they were during the Cold War. And, of course, that also means the challenges are vastly different for military commanders. They have to be prepared for a wide range of contingencies, counterinsurgency, stabilization, reconstruction, from the high end of nuclear threats to the low end of improvised explosive devices. The knowledge, capability and skills that it takes to hold high command these days is enormous, and it’s part of the reason why, General, this series has been such a compelling one and a popular one in Washington. I want to thank Saab AB for its generous support of this series. And I want to acknowledge the presence – the presence of Atlantic Council board director, Ambassador Henrik Liljegren. He’s the former Swedish ambassador to the United States and also Swedish ambassador to Turkey twice; diplomatic – senior political and diplomatic adviser to the president and CEO of Saab. Henrik, it’s wonderful to have you with us tonight. General Casey, the man who will introduce you tonight – and we have a history at the Atlantic Council of having introductions of the introducer – is Frank Kramer. Frank’s career has overlapped with that of General Casey’s, both during the time serving in Bosnia as well as on the Joint Staff. Both are genuine strategic thinkers tested with real-world experience. Frank served as assistant secretary of defense for International Security Affairs from 1996 to 2001, deputy assistant secretary for European and NATO Affairs prior to that. He also served in senior positions in the Pentagon from 1977 to 1981. But it would be remiss of me not to say here that what really, truly impresses me about Frank is all the work he does for the Atlantic Council. And he has given us a great deal of help with the breadth of his strategic radar. He’s played a critical work on our work – in our work on issues as diverse as Afghanistan, NATO Strategic Concept, Pakistan and cyber-defense. There is no security issue – or virtually no security issue I know of where Frank has not written about it or studied it or given me some advice on it. So, Frank, the podium’s yours. FRANK KRAMER: Thanks very much. And let me welcome all of you here again. I wish my children had been here to hear this. That is not how I’m recognized in the house. I’m the guy who takes out the garbage. But I am delighted to be here to introduce George Casey. George and I are long-time friends. As Fred said, we served together in the Pentagon. He was a senior person to whom I turned frequently and often for good advice, the right steer, how civilians ought to do things working with the military. And George always knew that. He is a true soldier-statesman. He, of course, is the chief of staff of the Army now. He was previously the commander of Multinational Forces in Iraq. But he started his career being commissioned out of the Georgetown School of Foreign Service. And as he told me earlier today, in his current office at the Pentagon, he can look out the window and see the spires of Georgetown. And that’s something that I think no one can hope for when they start out as a second lieutenant, but be delighted by the fact of when they’re the chief of staff of the Army. He served in Germany, in Italy, in Egypt, in Southwest Asia, obviously in the U.S. He has a master’s degree in international relations; as Fred mentioned, culminating educational experience being here as a senior fellow of the Atlantic Council. But he’s also served at every level, commanded at every level – platoon, battalion, brigade, assistant division commander, and, of course, in Iraq. So he puts together, I think, the finest qualities of our military. He knows about counterinsurgency. He knows about stability operations. The experience in Bosnia was highly successful, but it wasn’t clear at the beginning that it was going to be successful, as he will perhaps tell you. We went in heavy and we went in nervous. It worked out really quite well, and that was, in part, very much due to George’s leadership. He now has to deal with all the issues of the chief of staff of the Army. The chiefs of staff have to organize, train and equip the so-called Title X requirements. They have to get the force ready. They have to figure out how to sustain force rotations in an environment, as Fred mentioned and as General Jones said, that’s much more demanding. The force deployments go on and on and on and on. And our military starts, first and foremost, not with technology, not actually with maneuvers or anything else. It starts with people. And how to keep those people, quality people together, how to keep the families together and yet at the same time bring them to the fore, forward deployed for operations of all kind, from defense diplomacy to counterinsurgency to major combat operations is a huge challenge. George knows all this extremely well. We couldn’t have a better person here to talk today. I’m really glad to welcome you to the podium, my friend and the chief of staff of the Army, George Casey. GENERAL GEORGE CASEY: Thanks, Frank. That was – that was great. And I can tell you, not only was it never in my wildest dreams that I would sit in an office and look at the spires of my alma mater in Washington, I never thought I’d be – people coming here to listen to me speak when I was a fellow here. We used to have brown bag lunches downstairs at the Grange building over there by the new Executive Office Building. But it’s wonderful to be back here. And Fred, thanks for – thanks for inviting me back. What I’d like to do is talk just for probably about 20 minutes here about how we are designing an Army to operate in the environments, frankly, that both Fred and Frank talked about, because as we look to the future, it is a hugely challenging and different environment than the environment I grew up to – preparing to operate in. And as we look to this environment, we’ve thought quite a bit about it. We believe that the Army that the country needs for the 21st century is a versatile mix of tailorable organizations organized on a rotational cycle that provide ready forces for operations across the spectrum of conflict and that provide forces that can hedge against unexpected contingencies, and done on a way that allows us to sustain the all-volunteer force. Now, that sounds – it is a mouthful. And let me talk a little bit about how we got there and about the pieces of it. First of all, we had to start with the environment. And as we look out at the strategic environment, things hit you right in the face. First, we’ve been at war for over seven years. We’re almost in our – finishing eight years of war. I believe that war is a long-term, ideological struggle. It’s certainly not one that’s going to be won by military means alone. But it will be a long-term, ideological struggle. Against that backdrop, we look out at the trends that we see around the globe. And the trends that we see, I believe, are more likely to exacerbate the conditions that we see now than they are to ameliorate them. What am I talking about? Globalization – up until some months ago, the globalization was generating prosperity around the world, but it was generating it unevenly and creating have and have-not conditions, and the have-not conditions largely being in the southern hemisphere. And the have-not conditions contain people that are much more susceptible to recruiting by the terrorist and extremist organizations. Technology’s another double-edged sword. The same technology that is being used to bring knowledge to anyone with a computer and a hook-up is being used by terrorists to export terror around the globe. Demographics – demographics also going in the wrong direction. I’ve seen estimates that say that the populations of some developing countries like Pakistan are expected to double in the next decade. You imagine the attendant problems that that presents already strapped governments. Populations are increasingly moving to cities. I’ve seen estimates that by 2030, 60 percent of the population of the world will live in cities. That says a lot about where we’ll fight; and I’ve seen what it’s like to fight in the sprawling slums of Sadr City. The other thing about demographics is that – I think it’s – some of the trends are going to lead to increased competition for resources. The middle classes in China and in India are already larger than the population of the United States. That’s a lot of two-car families. And the two trends that worry me most are weapons of mass destruction in the hands of terrorist organizations and safe havens, countries or parts of countries where the local governments can’t or won’t deny their countries as safe havens for terrorists to plan operations. And so as I look against that – those trends against the backdrop of the fact we’re already at war with a global extremist organization, I believe that leads us to the notion that we will operate in an era of what I call persistent conflict, protracted confrontation among state, non-state and individual actors who are increasingly willing to use violence to accomplish their political and ideological objectives. And I think – I think we’ve got a decade or so of that ahead of us. And that really drives us as an Army to say that, okay, that’s got to – we have to take that into consideration. And I believe we will have 10 brigades of Army and Marine Corps forces committed for the next decade in places around the world. Now, for us, that causes us to think differently about how we organize our forces. The other element we have to take into consideration is not just the broad strategic environment, but we have to ask ourselves, what does war look like in the 21st century? What’s the character of conflict? And I got in a big discussion with my staff about – is it the nature of war that changes or is it the character of conflict that changes? Well, they argue that the nature of war is immutable, it never changes, but the character of conflict has and does change, and it’s changed over time. And as we look at it, the types of operations and wars that I believe we will – our Army will have to fight in the next 10 to 20 years are much, much different than the types of operations that I grew up learning to fight, on tank – major tank battles on the plains of Europe. And I’ve served in Iraq, so I’ve got a good sense of that conflict, spent some time in Afghanistan. But the conflict that I think – that intrigues me most, and I think speaks more toward what we can expect in the decades ahead, is the one that happened in Lebanon in the summer of 2006, where you had about 3,000 Hezbollah operatives embedding themselves in the population centers just north of the Israeli border. They used improvised explosive devices to channelize well-equipped attacking Israeli forces into ambushes where they fired at them with state-of- the-art anti-tank guided missiles. Forty percent of the Israeli casualties were from those anti-tank guided missiles. Now, they used unmanned aerial vehicles to target the Israelis. They started the war with over 13,000 rockets and missiles – not just the small ones they shot at our bases, but the large, 220 millimeter ones they shot at Israeli population centers. They shot down an Israeli helicopter with a surface-to-air missile. They shot an Israeli corvette in the Mediterranean Sea with a cruise missile. They used secure cell phones and computers for command and control. And they got their message out on local television. That’s a fundamentally more complex and difficult challenge than the challenges of fighting large tank armies on the plains of Europe. And I believe what we’re going to see is more of that and less of the other. And so that is – that is what we’re shaping the Army to be able to do. So as I look at the environment and the character of the conflict, I come down to, what should the Army do? What should the land forces of the United States be able to do? The first thing we have to do is we have to prevail in counterinsurgency campaigns. We have to win the wars we’re in, as the secretary of defense has said. Second, we have to prepare ourselves to continue to engage with other countries’ security forces when we’re asked to help them build the capabilities they need to deny their countries to terrorists. Third, we need to provide support to civil authorities both at home and abroad. And we work primarily through the National Guard here to provide support to civil authorities in the United States, augmenting them with our active forces as necessary. And we are continuing to provide support to other agencies of the government in Iraq and Afghanistan and helping them plan, integrate and execute the political and the economic and the information elements of the strategy. And you have all heard people say time and again that we will not win this conflict by military means alone. And if we are going to be successful, all of the elements of power have to be integrated effectively. And I suggest to you that it is the planning and organizational skills and, frankly, the integrating skills of the military forces that ought to be considered a national asset. We don’t have to be in charge all the time, but we have those skills and we can assist other elements of the government in integrating their efforts. And then lastly, we have to be able to deter and defeat hybrid threats and hostile state actors. And frankly, I think we have to be able to do them in that order of priority, because those – that is the conflicts that we are going to be mostly fighting. So after looking through all that, then I come back to what type of Army are we building, a versatile mix of tailorable organizations. The one thing we know about the future is that we never get it quite right, and that we can only aspire not to be too wrong. So for 60 years, the central organizing principle of the Department of Defense has been major conventional operations, conventional war. I’m suggesting to you now that – I’m looking at it from an Army perspective – I think the central organizing principle has to be versatility, because we have to be able to do different things. Nothing ever happens exactly how you plan. And so you have to be able to tailor your forces to deal with the situation that you’re confronted with, deal with the reality you’re confronted with, not with the force as you’ve designed it. And so we believe you have to have a mix of heavy forces, medium forces – strikers – and light forces. And the light forces will probably be more and more riding in up-armored Humvees and MRAPs because they must – they need to be protected as they move around. And the tailorable organizations – the Cold War Army I grew up in, we were a division-based Army. And we had about – we had 18 divisions. And all of the enabling forces were parts of those divisions. So if you needed to send something less than a division, you had to start breaking the division apart. And it wasn’t good to – any good to you to do other things. Over the last five years, we have been moving to create modular organizations centered on brigades. And we’re 85 percent of the way through converting the Army to modular organizations. And that’s in a five-year period, while we’ve been deploying 150,000 soldiers over and back to Iraq and Afghanistan. The other element of our reorganization to improve versatility is we’ve been moving away from Cold War skills to skills more relevant in the 21st century. By way of example, we’ve converted over 200 tank companies, artillery batteries and air defense batteries and changed those soldiers into Special Forces, civil affairs, psychological operations, military police and engineers, the kinds of skills that you hear that we need every day in Iraq and Afghanistan. So a versatile mix of tailorable organizations – and we’re well on our way to achieving that – organized on a rotational cycle. We are moving to put the Army on a rotational cycle much like the Navy and the Marine Corps have been on for years. Why? One, again, I believe that we will – we’ll have a sustained commitment of forces over the next decade. Two, when you have forces organized on a rotational cycle, you have some forces at a level of readiness that could be committed when you have unexpected contingencies. And third, we have to do it because we have an all-volunteer force and because they need to be put on a sustainable deployment tempo. And we’ve been deploying for four years or so, one year out, one year back. That’s not sustainable for us over the long haul. We are – with the changes that we’re making in the Army and with the president’s announced drawdown plan in Iraq, I expect we will achieve our goal of getting to a one year out, two years back by 2011. And that would be a very, very good thing for us. To sustain this over the long haul, though, I believe we get – need to get to a one year out, three years back tempo, which is what the Navy and the Marine Corps have been on for quite a while. I believe that’s sustainable indefinitely. And so what we’re doing is organizing the Army, really, into four bins. And the first bin is always available. It’s fully manned, trained and equipped. And in that bin you have an operational headquarters, you have four tactical headquarters, 14 or 15 brigades and then about 70,000 what we call “enablers,” military police, engineers, civil affairs, psychological operations, other things that enable the force. That’s a very significant force. About 120(,000), 130,000 total folks could almost meet the demands in Iraq and Afghanistan today – not quite. Same force in the second bin; same force in third bin; same force in the fourth bin. But as you go to the left, there are different levels of readiness. The second bin, the forces could be pulled forward for unexpected contingencies. The third bin could come, but they’re more of a strategic reserve, as is the fourth bin. It would take them longer – 90 to 180 days to prepare. So what you see is you have committed forces, you have an operational reserve and then you have a strategic reserve to use in an emergency. And that’s how we’re working to array our forces. And we think that allows us to generate the sustained flow to hedge against contingencies and to do it in a way that sustains the all-volunteer force. That then gives you the versatile mix of tailorable organizations on a rotational cycle to allow you to meet your requirements, hedge against uncertainty and sustain the force. So that’s the direction that we’re headed. We believe that is the right force and the right organization for the challenges that I described to you that we see coming in the 21st century. Let me just close here with a brief story, because you get a lot of questions about the quality of the force and how the – how the men and women of the Army are doing. I did – I did two commissionings in the last couple of weeks, one at Georgetown, one at George Mason. And then I went to West Point last Friday night, and I spoke to all the graduates and their families the night before commissioning. And I can tell you, when you look in the eyes of these young men and women, you can feel pretty good about the future of the country. They’re committed, they’re focused and they’re ready to go out and make a difference in the world. And at West Point, I told them the story about one of them who had been in that audience two years ago, in 2007. And his name was Lieutenant Nick Eslinger. Nick was a platoon leader in Samarra, Iraq. And he was leading his patrol – his platoon on a patrol of downtown Samarra in the middle of the night. In some of the Iraqi cities, you have large courtyards that are surrounded by high walls, and it makes the street look like a tunnel, because you have all the high walls butting up on the street. As the patrol was walking down the street, a grenade comes over the wall, lands in the center of the patrol. Lieutenant Eslinger, seeing it, realizing it would harm his platoon, he dove on it. The grenade didn’t go off. He had the presence of mine to reach down, grab the grenade and throw it over the wall. When he threw it over the wall, it went off. I said, Nick, what the heck did you think when the grenade didn’t go off? He said, I don’t know, sir. I just reacted. I said, Nick, what did you think when the grenade did go off? He said, I don’t know, sir. I just reacted. But that’s the type of men and women that you have not only in the Army, but in the armed forces of the United States, and you can feel pretty good about it. And so with that, I’ll close and I’ll be happy to take any questions that you have. Thanks. MR. KEMPE: Thank you for that wonderful presentation, and thank you for that wonderful close as well. I’m going to start. Since you talked a great deal about what sort of Army one should have and also, very interestingly, about one year out, two years back, one year out, three years back, maybe talk a little bit more about what happens if they don’t get that. In other words, you’re in your eighth year in Afghanistan, sixth year in Iraq – what are you seeing in terms of stress? What are you seeing in terms of what this does to the Army, both in a personal sense and a structural sense? In other words, what are you fixing by doing this? GEN. CASEY: Yeah. A great question. You know, people ask me what do I worry about the most. What I worry about the most are two things. One, I worry about the repeated – the impact of repeated combat deployments on the long-term health of the force. Last year, 2008, we had about 13,000 newly identified cases of post-traumatic stress. Now, that’s a good-news/bad-news story. I mean, it – bad news, it’s a lot. It’s about double what it was two years before. Good news is because of the work we’ve done to reduce the stigma, more and more people are willing to come forward and get the treatment that they need, because all of our studies tell us, the sooner you come forward, the sooner you get treatment, the better off you are. So that’s my first worry. Second worry is that there will be some unexpected requirement for forces in the next two years that won’t allow us to get this drawdown in Iraq and to stabilize the force. If we’re not able to do that, it will get very difficult. Now, on the – back to the first part. We have been looking very hard at ways to develop coping skills and resilience in soldiers. And we will be coming out in July with a new program called “Comprehensive Soldier Fitness.” And what we will attempt to do is raise mental fitness to the same level that we now give to physical fitness, because it’s scientifically proven you can build resilience. And I was up at University of Pennsylvania last week where we had our first group of sergeants being trained as master resilience trainers by the University of Pennsylvania staff, Dr. Marty Seligman and his folks. And the whole idea here is to give soldiers the skills they need to increase their resilience and enhance their performance. A lot of people think that everybody that goes to combat gets post-traumatic stress. It’s not true. Everybody that goes to combat gets stressed. There’s no doubt about it. But the vast majority of people that go to combat have a growth experience, because they’re exposed to something very, very difficult and they prevail. So the issue for us is, how do we give more people the skills so that more people have a growth experience? We felt it’s important to get started on this, because everything else is you’re – you know, you’re treating the problem. And so we needed to be more proactive about it. And so that’s the direction that we’re headed. MR. KEMPE: That’s interesting. So you’re working more on the psychological training as well as the physical training. GEN. CASEY: It was not intentional. MR. KEMPE: Well, if you’d like to do it again, we’re all for it. You said that you think – and you said that elliptically in your comments here, too, that you think U.S. ground forces will be in Iraq and Afghanistan for at least another decade. GEN. CASEY: I didn’t say that tonight, did I? (Laughter.) I don’t think I did. I actually didn’t say it – I didn’t – actually didn’t say it last night, either. MR. KEMPE: You didn’t say – well, why don’t you say what you would like to say about that? MR. KEMPE: But on top of that, let me go beyond that question to how you think those missions are going to evolve over time, and irrespective of how many years you think that will go on is how do – how do the force levels change as those missions evolve? GEN. CASEY: First of all, I’ve been around long enough to understand I don’t do policy. As Frank said, organize, train and equip. And in my job of organizing, training, equipping, as much as I talked to you tonight, I have to look out and say, okay, what are the – what are the demands that are going to be put on the Army and how do I best organize to meet those demands? And so I said basically the same thing that I said to you tonight, that I believe we’re going to have demands of about 10 Army and Marine Corps – Army brigades, Marine Corps regiments deployed for a decade or so. I mean, I believe that. And that is why we’re organizing the Army in the way that I described to you today. As I – every time I make that statement, I say, this is not a policy statement; this is an organizational statement for me of the Army. That didn’t quite get reported. As I said several times in my congressional testimony, we are fully planning on executing the drawdown in Iraq. In fact, as I said tonight, it’s very important for us to execute that drawdown. And so any long-term security relations remain to be developed between the Iraqi government and the United States government. So I had no intent of trying to change the policy. Now, how’s the – how are the missions going? I was just in Afghanistan probably I think two weeks ago now. What I saw there is we are already seeing the impact of the additional forces, especially in the Regional Command-East. I visited the brigade that was diverted from Iraq to Afghanistan. It was already there. It was already on the ground. They had done a wonderful job of preparing the bases, of having the equipment organized and lined up. They told me they got off the plane; they got on their vehicles and they went right into their area and they were already having an impact. I went down south to Kandahar. The forces there were beginning to flow in. And there was huge construction and everything going on there in the base. But there’s going to be a big fight down south. And that’s why we’re putting the forces in there. And I think everybody’s been very clear that there is going to be a big fight. But the – my assessment as I left is the forces are there, are in route there that will allow the commanders to support a successful election in August. And I think that will be a very positive event for Afghanistan. So I think we’ve taken the right steps and it just is going to take a while for them to play out. With respect to Iraq, as I said, I have no reason to believe that the drawdown won’t get executed as planned. You know, we’re at war; things can change. But it seems to be moving positively in the right direction. MR. KEMPE: Thank you, General. Let me ask you one more question, and then I’ll go to the audience. And as you ask your question, please identify yourself as well. Over the next 10 years, in some ways it’s easy to say as much is going to be deployed as you say is going to be deployed. What’s harder is, is it going to be counterinsurgency; is it going to be conventional? You hear a call in NATO for more Article V protection again. You see what’s going on in North Korea. How do you plan for that? And where do you think that’s going in terms of the balance? GEN. CASEY: Yeah. You know, that’s a great question. And I talked about a doctrine of full-spectrum operations, offense, defense and stability operations, all done simultaneously, no matter where you are in the spectrum. And as we’ve worked our way through this, to me it’s become less useful to think about warfare in the 21st century as either/or, as either conventional or unconventional. And I’ve come to think of it more as the hybrid warfare that I described in my presentation, hybrid warfare being diverse combinations of irregular, conventional, terrorist, criminal elements all working together to come at us asymmetrically. And I believe that’s what we’re going to face. And I – and when you look out and think – again, I mentioned the tank battles in Europe that I grew up learning to fight. I don’t see warfare in the 21st century being like those big battles. It’ll be different. It’ll be more hybrid, I think, than it will be conventional. So we’ve really gone away from saying either/or. You have to be able to operate across the spectrum. And with the experience that the young leaders are getting in Iraq and Afghanistan, we have folks that are capable of operating like that. It’s much more complex than conventional warfare. But, you know, as we worked our way through this, if you’d had asked me in – when I was a division commander in Germany, in ’99 to 2001, you said, General Casey, where should you best focus your training so that your division is most versatile to move across the spectrum of conflict? I would have told you if I could do conventional war, I could do anything. And after 32 months in Iraq, I don’t believe that anymore. And there’s not a lot of people left in the army that believe that. Now, there’s this debate that’s supposedly raging within the Army that all us old dogs, that we’re genetically ingrained with the Fulda Gap, and we will never be whole unless we can go back and do that again. And then the young folks are all irregular warriors. It’s almost the opposite. You know, we – most of us have been there. We understand it. Young folks have been there. But interestingly, from the young folks, what you get is they got the irregular, but they’re uncomfortable because they’re professionals, and they know that they haven’t maneuvered their tank company; they haven’t fired their artillery battery. And they’re nervous, because they haven’t done the things they know they need to do. But those skills are very, very recoverable, quickly. And so we’re moving away from trying to talk in either/or. MR. KEMPE: Thank you, General. Please. Q: General, Air Vice Marshal Mike Howard, U.K. defense attaché. One of the things – organize, train, equip the interagency – I think you’ve had some initiatives which are really important, some lessons on that. And you mentioned West Point, a terrific product. But where’s that product for the other departments, and some of the things where you’ve offered other departments places on courses that are run by the U.S. Army? I know the other services do it, but specifically that. And then I think you’ve also provided soldiers to backfill those gapped positions elsewhere. There may be lessons from there. What can you tell us all about that? It’s so important. GEN. CASEY: Well, first of all, I would never accept the responsibility of organizing, training, equipping the interagency. (Laughter.) But to your point, Lieutenant General Bill Caldwell out of Fort Leavenworth has, in fact, started some exchanges in the interagency to bring folks from the State Department and the CIA out to our major-level courses that we run out there at Command and General Staff College at Leavenworth. And because of the need to backfill those folks so they can come – they can take the time off and come to the course, we’re actually sending Army officers back to those – to the State Department to fill in the gap. And so we’re getting a much earlier start on the interagency. And I think that’s hugely important. I go out once a month and I talk to all our lieutenant colonel and colonel-level commanders, people getting ready to go into command. And I was out there one day and I was talking to the group, and I noticed that there were these four muscular-looking guys with short haircuts in the back row. And they’re all sitting there with their arms crossed. So I went up afterwards, and I said, what happened? Your plane lose your bags? And they said, no, we’re the CIA. So here they were, sitting in our command course. And so I think that’s – it’s a great thing. You know, from my time working with Bob Gelbard, I learned – I learned the power of the interagency. And from my time in Iraq with John Negroponte and Zal Khalilzad, you know, we tried to make that work. But we’re not going to make it work until we start it at much lower level than we have been in the past. Q: Harlan Ullman here at the Atlantic Council. General, thanks for your comments and your impeccable logic. I wanted really to expand on the last question. To the degree that you could argue that U.S. national capacity has a Maginot Line complex to it, in that, as you know, the Maginot Line was never penetrated, but the Ardennes and the northern flank was, and the problem is that the military is the best at the game in the world, but we are lacking a lot of capacity elsewhere. And even though the secretary of defense has made that argument and the president has made that argument, it seems to me that that is really a gap which we’re not moving to fill. There is no real, as you know, civilian surge, it appears, in Afghanistan. In Pakistan, it’s going to be the civil side, where we seem not to be able to fill the void. So if I could ask you to step outside your pay grade, not above it, what sort of advice would you have to fill in this capacity that goes beyond the military and even the intelligence but gets into the civil sector capacities that are really critical to win the larger war? And I agree with you, it’s going to be a long-term struggle, but the military is not going to be the one that ultimately wins it. It can lose it, but it can’t win it, as you rightly point out. MR. KEMPE: And is that really outside pay grade any longer, in the days of stabilization, reconstruction, et cetera? GEN. CASEY: Well, it’s certainly outside of my purview, but you want to – I’m asked this question a lot. I mean, as I said, I lived it in Bosnia, lived it in Kosovo, lived it in Iraq. And we need to get started. And, you know, I hear a lot of talk around town about a Goldwater-Nichols for the interagency. I don’t know if that’s the right thing or not. But what I do know is Goldwater-Nichols passed in 1986, and it took us a decade to embrace it. And so we need to get started now. In the interim, you know, I think we have to figure out how to get the civil side of the government to leverage the capabilities that the military can deliver. You know, what I saw and continue to see is, you know, having the one person that knows how to run that border station, that knows – really knows how to run a border station or really knows how to run a city council or really knows how to run a power station makes all the difference in the world. You know, we got a lot of energy; we got a lot of people; we’re fairly organized. We can do all that. But if you don’t have the expertise, what you get is a lot of energy and arm- waving and not necessarily the result you want. So in the interim, I think we’ve got to meld those two things, the expertise that comes from the civil side with the organizational planning skills of the military. I think that’s what we have to do to bridge this. But I think we need to get on with it. MR. KEMPE: Thank you, General. Bob Gelbard, I think you’ve been called upon by the general. The – could you wait for the mike? Thank you. Q: You began your fascinating speech by outlining an intricate, very well-crafted description of how you see the Army for the 21st century, and then you went back and parsed it. You didn’t describe, however, one key part at the end, which was the all- volunteer force. What gives you confidence that you’re going to be able, in an extremely dangerous world, in this post-Cold War environment, to find all the people you need with the economy recovering eventually to fulfill all the requirements that you will need with this very versatile force? GEN. CASEY: Yeah. Great question. Bob is an old mentor, and I was hanging on his every word, because I knew there was a trick in there someplace. (Chuckles.) That is – that is a great question. I mean, the first thing we have to do is get ourselves on this rotational model so we sustain the folks that are with us. And as I went around in the first four months that I was the chief two years ago, with my wife, it was clear to me that the families were the most stretched and stressed part of the force. In a force that’s almost 60 percent married, it makes a huge difference if – whether or not the families feel like they’re being cared for and properly taken care of. But, you know, what they – what the spouses tell you is every deployment’s harder than the one before. And it just – it doesn’t get any easier, and especially when you’re going for 12 months or 15 months and you’re coming back for 12 or 13. And I just was back from about five weeks’ worth of visits to bases in the United States, and I tried to get them 90 days after they’d been back, because what you see is they come back; they have about 30 days off; they get back with their families; they’re feeling pretty good. But at about 90 days, they’re faced with the stark reality, they’re going back in nine months. And that’s where you really see the stresses and strains. So we have to get ourselves on this rotational model at a better deployment tempo. That’s the first thing. The second thing is that – I called Shy Meyer, who was one of my predecessors. He was the one who went to Congress in 1980 and said, the Army’s hollow. I said, Shy, what happened? What was it? He said, George, it’s all about the people. And what – he says, there’s a thin red line out there that you’ll – as hard as you’ll try to know if you’ve crossed it, you’ll stumble across it, and you’ll look back from the other side. And what happens is it’s the mid-level officers and non-commissioned officers start leaving in droves. And those are the people that it takes you a decade to grow. And I lived through that decade in the ‘70s, and it wasn’t pretty. And so, again, we have to get ourselves on a more sustainable cycle so that we keep those folks with us. The last thing, and I think the gist of your question is, can we continue to recruit? I think we can. Last year, 2008, 290,000 men and women enlisted or reenlisted in the Army, the Army guard and reserve. That – I mean, to me that’s a staggering number. And they did – every one of them did it knowing that we were at war and that they would go to war. Now, I think that’s out there. You know, we’ve – we have – we’ve made our retention objectives for the year already. And the quality of the recruits that we’re bringing in now is back up where it was four years ago, in terms of high-school graduates. And we’ve stopped some of the waivers that we were giving. We don’t give any drug and alcohol waivers anymore and we don’t give any major crime waivers anymore. So the quality of the force will continue. It’s not really knowable how long we can continue to do that. I think that the – we can continue to do this if we sustain the quality of the force and we give the families the benefits that they’ve been accustomed to. But, you know, how long, I couldn’t tell you. But I think it is sustainable. MR. KEMPE: Very interesting, General. MR. KEMPE: Could you wait one second? Sorry. Q: Paul Gebhardt from the Cohen Group group, sir. You identified very early in your presentation that you saw a distinction between operations, as you’ve said, for eight years in Afghanistan and Iraq and the Israeli operations in 2006 in Lebanon. What makes you focus on that in particular versus the eight years that we’ve had so far? And in terms of your role of organize, train and equip, how do you see the significant difference between how the Army has had to evolve for Iraq and Afghanistan and what you’re seeing out of Lebanon? GEN. CASEY: The reason I look at Lebanon is there are a lot of – a lot more elements at play. I mean, you have Hezbollah, non-state actor, operating inside a state, Lebanon, supported by two other states, Iran and Syria, and fighting a fourth state, Israel. And they employed all of those different elements. You have the instruments – instruments of state power are no longer necessarily the exclusive purview of states. I mean, what other terrorist group has 13,000 missiles and rockets and cruise missiles? I mean, that is the – was the staggering thing to me. You know, we didn’t face anything like that in Iraq. You know, you had some support for the Shia insurgent groups coming out of Iran and you had the Syrians, you know, not securing their borders, letting folks coming across there. But as I looked at it, I said to myself, Iraq was hard, no doubt about it. But I’m not sure it was as complex as what they had – what they were trying to do there in southern Lebanon. And so we – you know, we gravitate toward the more difficult situation. So I thought there was a lot more at play in Lebanon than necessarily was at play in Iraq and Afghanistan, as hard as they are. MR. KEMPE: Thank you. Jim? Q: Jim Hoagland, The Washington Post. General, thank you for your comments. I just wanted to follow up on Paul’s question a little bit and ask you to talk a little bit more about the implications of what you witnessed in Lebanon for the kind of training and equipping that you now feel we need in the U.S. Army, and also to extend the question a little bit into whether or not you see similarities, great similarities between what happened in Lebanon in 2006 and what happened in Gaza in January. Many of the elements seemed to be present. Were they different? If they were different, which one of them is the anomaly and which one of them – either Hezbollah or Hamas – is the trend? GEN. CASEY: Interesting. I’ll come at the second one first, and then you’ll have to remind what the first one was. But the – if you asked this of the Israelis, I think they would tell you they went to school on what happened in Lebanon, and they looked hard at it. And the feedback I’ve heard is that they felt that they got into counterinsurgency-like operations at the expense of their combined arms training, the ability to take air and artillery and ground forces and integrate them all. And they felt not well-prepared for that. I think what you saw in Gaza was the Israeli military going to school on themselves and they were much better prepared to employ all of the elements of military power more effectively. And I think that’s why the Gaza operation was, in fact, more effective. And I talked about having a versatile mix of forces, that you need some heavy forces, some light forces, and some middleweight striker forces. And you need to do that because you never know what you’re going to get. And I will tell you, in Najaf and in Fallujah, I saw the value of tanks and Bradleys in those cities. I mean, we got through Fallujah in 10 days. It would have taken a month if we were doing it infantry house to house. And I think the Israelis saw the same thing. Now, what’s the implications for the Army in Lebanon? And this kind of goes back to what Paul said. One of the reasons I like it is because, as I said, it was more complex. And it really gets into how do you train leaders to operate in that level of complexity. And frankly, that’s what we do. It’s not about machines. You know, it’s not about networks and technology. It’s about people and, most importantly, about leaders. And so what we say is we want leaders who are very competent at their core proficiency, but then broad enough to do a range of things. I mean, if I expect my leaders to operate from peacetime engagement to counterinsurgency to conventional war, I can’t expect them to be good at every little task in each of those areas. But I can expect them to be very good at their core competency and then broad enough to do a range of things. And that gets at, okay, how do you develop – how do you grow officers that are broad? And our culture now and the culture I grew up in is, hey, you want to get promoted, you stay in a unit, you stay in that operational force and you’ll bubble up. Well, we’re trying to say, wait a minute, that gets you so far. That gets you to maybe lieutenant colonel level. We want you to get out of that operational force periodically. We want you to go to graduate school at a civilian university. We want you to operate with another agency of the government. We want you to train with industry. We want you to do something that’s out of your comfort zone and then get back in the operational force. But we’re trying to grow folks that are broad enough to not be cowed by the complexity of a range of different missions. So that’s the primary take-away for me out of that operation. MR. KEMPE: Thank you, General. Please? Q: Thank you, General. My name is Paulo von Schirach, Schirach Report. I guess that your Lebanon paradigm or new paradigm or example is catchy. Still on the same subject, you have described quite well, you know, the example of Lebanon and the other elements that you brought to our attention, that is, the phenomenon of urbanization, the collapse of globalization, the change in demographics, et cetera, that if all this converges into an example like Lebanon, it’s essentially an unwinnable fight. If a force is motivated and supplied like Hezbollah in Lebanon, it’s essentially a conflict that is unwinnable according to our own standards, unless we do what the Sinhalese have done, you know, defeating the Tamil Tigers just a few weeks ago, to the world outrage, in bombing hospitals and causing massive population dislocation, et cetera, which I don’t think we are in the business of doing. So my question to you is if a situation like Lebanon should be replicated in different scenarios, it seems to me on the – in the field unwinnable. And therefore, are there other means that the armed forces are thinking about in terms of depriving the enemy of the motivation to continue to fight as opposed to trying to defeat it in the field, in consideration of the asymmetric advantages that such a force like Hezbollah has enjoyed and managed to deprive the Israelis, who – that are, you know, sufficiently sophisticated, of victory? How would we engage in a situation like that, and can we win in the field or do we have to find other ways to demotivate the enemy? GEN. CASEY: I mean, in those type of operations, the prize really is the people. It’s not necessarily the enemy force. And I think that’s a fundamental difference that we’re – you know, we have to come to grips with. Was it – Rupert Smith wrote a book where he talked about war among the people. I think that’s a key element of hybrid warfare. When we operate, we’re going to be – you’re operating in Lebanon, you’re operating among the people. In those types of wars, you have to split the people from the – from the terrorists or from the insurgents. And to do that, there has to be enough military force that you take away the options of the other guys with guns. And then there has to be a representative government that the people feel takes their interests into effect. And so political, economic, information and military, and not necessarily military predominance, so – and finding the right way to blend each of those to generate the – to accomplish our long-term strategic objectives, that’s the art of this whole thing. That’s what’s going on in Iraq; that’s what’s going on in Afghanistan; and to some extent that’s what’s going on in Lebanon. But that’s the art of warfare in the 21st century. MR. KEMPE: We’re running a little short of time, but I’m going to take two questions here from Atlantic Council colleagues who had their hands up. One, the director of our South Asia program, which we stood up in January for pretty obvious reasons – this has got to be a great focus of the Atlantic Council – and then from the director of our International Security Program. Q: Thank you, Fred. General, I’m Shuja Nawaz, the director of the South Asia Center. I was intrigued by your description of the change in the doctrine from conventional to hybrid. And I was interested in finding out what the dynamic was. Where did the impetus come from? Was it top down? Was it in the middle, in the battalion commanders, the regimental commanders? Where did this start percolating and who provided the impetus for the change? MR. KEMPE: And how do we make it percolate in the Pakistani military? I’ll add that additional question. Let me take from Damon, too, before we come back to you, General. Q: Thank you, sir. Damon Wilson, here at the Atlantic Council. Thanks for your remarks this evening. I had a question. We hosted General Craddock here a couple of weeks ago, who raised the issue of the status of the forces of – in Europe and his concern about the continued withdrawal – in particular, two more brigade combat teams from Europe – in terms of constraining the ability, perhaps, in a NATO context, to sustain training and mentoring and partnership with NATO allies and NATO partners. I wondered if you could give us your sense of where we are on the global posture and global defense posture realignment, how you see that going forward, and if you might, a bit more broadly, how you see our NATO allies and our partners drawing some of the lessons that our Army has drawn from recent operational experiences and whether or not you see them moving in a comparable direction or whether you have concerns there with their transformation. MR. KEMPE: But this actually complements that, which is within answering Damon, can you be a little bit specific of whether you’re reconsidering the Army’s footprint in Europe? To your question, little bit of each. What I found in my own time in Iraq is innovation has got to come from the field first. And, for example, in mid-2005, I started getting the feel that we weren’t really executing counterinsurgency doctrine right, so I sent a team out and went all over the – all over and they came back and said, you know, it is kind of haphazard. So we set up our own academy, the Counterinsurgency Academy in Iraq. And we – everybody that – all the leaders that came into Iraq went through that. And we brought the folks from the States over and they looked at us and then they went back and they wrote the doctrine and then they did the things they needed to do. This shift from conventional to hybrid was a little bit the same. I mean, that’s what we’re doing in Iraq and Afghanistan. What we had to do was change the – our institutions and our bureaucracy to move away from conventional war. And so I’d say that part had to be top- down. And frankly, it started just how I said. I took a – I took a chart that had the spectrum of conflict on it, and I drew a circle. And I said what I just said. If you asked me in ‘99 or 2001 where I should focus, I’d focus on major combat operations, because if I can do that I can do anything. And I said I don’t believe that anymore. And then I said I don’t believe that anymore, and then I drew another circle more toward the center. And I said we need to shift our aim and we need to start focusing there. Well, that created a lot of consternation. And people went around scratching their heads, and they were drawing circles in different places. But it got the dialogue going. And then I realized that we had to adapt our institutions if we were going to make that change. And I think I mentioned the organizing principle for the Department of Defense has been major conventional operations for 60 years. So it’s insidious how that is so ingrained into the processes; you can’t ferret it out. For example, readiness reporting: I send units off to Iraq and Afghanistan that are trained, that are equipped, that are combat- ready. Yet I report their readiness as not ready for their conventional missions. You know, my view, I ought to be reporting the readiness of my units to go to war, not making up another ad hoc way of saying that – whether they’re ready or not. But that’s what – that’s – all through the department, you have those things. And so it’s a big institutional change, not just for the Army but for the whole department to make that move. So that part had to come from the top down. It was a – it’s a hard push inside the Beltway. It’s a much easier sell outside the Beltway. To the footprint in Europe, the decisions on the two brigades will be made, I think, as part of the Quadrennial Defense Review. I understand John’s concerns. More for him is better. Candidly, I – the question I’ve asked John is what’s the – are we getting the value out of those extra – those two brigades over there? Could they get – could I get more value of them back in the States? And that’s something we’re just going to have to work our way through. I watched the NATO forces coming through Iraq. All of the NATO countries that deployed their forces to Iraq benefited from it. I used to meet with the Estonian CHOD. They had a platoon – Estonian platoon with one of our brigades in the Baghdad area. That platoon is helping the whole Estonian – you know, the people that rotate through there helping the whole Estonian army move forward. Same with the Poles; I mean, they’ve put a lot of – so I think that’s having a positive impact on the NATO forces. The mission in Afghanistan is the same. I’m just not as familiar with it. So as I said, we’ll figure that out in the QDR and see where it goes. MR. KEMPE: Quadrennial Defense Review. MR. KEMPE: Thank you, General. I’m going to just say something briefly in closing and I’m going to embarrass one of our senior fellows. We’ve got a great successor to you here at the Atlantic Council, Colonel Bill Butcher. And it’s been great having you with us. And I must tell you, in terms of focus and execution, our military fellows, there’s nothing that beats them. So thank you, Colonel. MR. KEMPE: This is – this is – (chuckles) – we work them hard, and they deliver. MR. KEMPE: Now, the person I’m going to quote right now is not Colonel Butcher. But we do – we have had another senior fellow who spent a few months here. And he came to us after having a couple of tours in Iraq. And after seeing what we did for a few months, he said to me, in a moment of candor, they really pay you for this? And I think that reflects the fact that he made a considerable sacrifice for his country, as do the men and women who serve under you. We respect the sacrifice you’ve made in your life, the service you’ve given the country in your life, and that of the men and the women who serve under you. Thank you so much for tonight and thank you so much for your service to the country. GEN. CASEY: Thanks, Fred. Thank you very much. Pakistan needs help. President Asif Ali Zardari and army chief General Ashfaq Kayani, who were publicly urged last month by Defense Secretary Robert Gates to “recognize the real threats to their country,” have sent a considerable military force to staunch the spreading extremist threat in the Swat region near Afghanistan. Pakistan has begun to put together an official relief effort, but it is hampered by a lack of financing and equipment. If Pakistan’s leadership fails to provide timely relief to the internally displaced population, it almost certainly will suffer a serious backlash of public resentment. Ironically, this might accomplish the very destabilization of central authority that the Islamist militants and their Al Qaeda associates hope for – and that the United States and its NATO Allies want to prevent. But what can NATO do? History suggests that it can do a lot and rapidly. Moreover, a broad-based NATO support may be politically more palatable than any single-country relief effort in Pakistan. In October 2005, when Pakistan requested NATO assistance to deal with a devastating earthquake, the Alliance needed only three days to activate its NATO Response Force (NRF) and begin a major airlift of relief supplies. NATO engineering and medical units and heavy lift helicopters soon followed. By February 2006, NATO’s “air bridge” of 168 flights had delivered nearly 3,500 tons of aid, its engineers had repaired essential roads and shelters and its doctors had treated over 8,000 patients, often in remote villages. The 17-week operation, which involved about 1,200 Allied military personnel, opened the door to political dialogue as well: over the next year, high-level NATO and Pakistani officials exchanged their first-ever visits, Pakistani military officers and civilians attended a NATO school in Germany and NATO’s International Security Assistance Force (ISAF), Pakistan and Afghanistan opened a joint intelligence operations center in Kabul. Last year, General Kayani visited NATO headquarters and spoke about the regional dimensions of Pakistan’s security concerns. A NATO combat role inside Pakistan is simply inconceivable, but many of the capabilities employed by the Alliance in the earthquake’s aftermath would be relevant today. The NRF has a readily available air component, now under UK command, that could recreate the 2005-6 air bridge to deliver the tents, field hospitals and medical and other supplies donated by Allies, Partners, international aid agencies and non-government organizations. A prominent British role in the NATO mission would be quite acceptable to the Pakistani leadership and public, given long ties between Pakistan and the United Kingdom. Theater air assets, both fixed wing and helicopters, could help with distribution within Pakistan. The NRF land component, now under French command, could deploy engineer units and medical personnel to work directly with the displaced persons. As was the case after the earthquake, NATO would work in support of Pakistan’s military and civilian authorities and in coordination with the UN, European Commission and other international donors. Thus, the Alliance would operationalize the “comprehensive approach” (NATO-speak for the effective combination of civilian and military capabilities in a “whole of government” effort) agreed in its Declaration on Alliance Security at Strasbourg-Kehl. NATO’s top decision-making body, the North Atlantic Council, would have to agree by consensus on any Alliance involvement. As a first step, the Council presumably would need an expeditious assessment by its military and civilian staffs of the risks, costs and benefits of such involvement. But the Council will not ask for such an assessment absent an official request for assistance by Pakistan. Will someone in Islamabad pick up the phone? Leo Michel is Senior Research Fellow at the Institute for National Strategic Studies. These are his personal views. 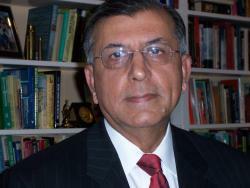 Shuja Nawaz is Director of the South Asia Center at the Atlantic Council. Last week’s tripartite summit in Washington, D.C. during which President Barack Obama hosted President Hamid Karzai of Afghanistan and President Asif Ali Zardari of Pakistan was a lot like a Chinese meal. After a substantial repast of meetings and media events, one is left with a gnawing hunger for real progress in the battle against insurgents in both countries. Zardari came to convince Washington that he needed much more aid than the current $1.5 billion annually for five years promised by bills pending before the U.S. Congress and substantial military aid. He left with the promise of five additional helicopters and little in the way of additional financial aid. Indeed, the U.S. had already pledged $1 billion at the Tokyo meeting of the Friends of Pakistan as a down payment towards the promised Kerry-Lugar $1.5 billion aid package. The U.S. clearly wished for greater action by Pakistan against the militants inside Pakistan and along the Afghan border. It also wanted better collaboration between the Afghans and Pakistanis. It may not have got much progress on the first but made some progress on the latter objective. Yet, given the waning popularity of both leaders at home, Obama may be left wondering how strong his allies are going to be in the battle against terrorism and militancy, and how long the U.S. public and European allies will want to stay the course in Afghanistan and Pakistan. What’s missing from the picture in Pakistan? A fledgling civil government has been unable to assert its control over the country’s polity and its military. Lacking a clear vision of what kind of country it wants Pakistan to be, the government has made alliances with all types of parties, many of them opportunistic members of the preceding Musharraf regime. Despite his own promises and a written commitment of his late wife, former Prime Minister Benazir Bhutto, Zardari has yet to shed the extraordinary presidential powers of his predecessor, thus diminishing the powers of the prime minister and parliament. And, despite a raging insurgency that has swept from the Afghan borderlands into the Pakistani hinterland, the government has not yet shown itself operating on a war footing. The Swat deal with the Pakistani Taliban collapsed, as widely expected. In the absence of effective civil administration and a community-based police force that could have kept the militants at bay, yet again the military has been sent in to roust the Taliban. But it faces a daunting task, as an energized insurgency, with well equipped fighters, promises to battle the army street-by-street for the towns of Swat. Meanwhile, Pakistan faces the prospect of a million plus refugees. The government seemed unprepared for such a massive exodus and it seems to be falling back on the old system of proposing an international aid conference to garner relief assistance. Yet again civil society seems to be bearing the brunt of the relief efforts. If there had been an institutional mechanism for national security analysis and decision making with a clear central command authority(a Pakistani Richard Holbrooke who could team up with the Army Chief) to break down the stove pipes in the Pakistani government, the exodus would have been anticipated and arrangements put in place to look after the displaced people. Most of them now are seeking shelter outside the paltry camps set up to handle them. The National Security Council has been abolished. The Defence Committee of the cabinet does not appear to have met to discuss the crisis. And in the absence of a National Security Adviser, sacked by the prime minister in a moment of pique following the Mumbai attack, there is no formal mechanism for studying such issues nor a central point in government to ensure that all parts of the administration work together to anticipate problems and resolve issues. A highly personalized decision making process remains in place, informed in some cases more by anecdote than by analysis. Most exchanges on military issues take place directly between the President and the Army Chief. The Chairman of the Joint Chiefs of Staff is often by-passed. Coordination of the fight against the militants between Interior Ministry and the military is desultory at best. That relationship has not yet recovered by the abortive ham-handed attempt of the current Interior Minister to wrest control of the Inter Services Intelligence in the summer of 2008 away from the military. The only silver lining from the collapse of the Swat deal has been the rising anger of civil society against the excesses of the Taliban and revulsion for their obscurantist views on religion and social behavior. But chances are that this anger may soon turn against the government itself, if it fails to control the situation. The army, still unequipped and untrained for counterinsurgency, may yet be able to clear the Swat valley of the militants. But, as a senior military officer confided to me, the army will be unable to hold the territory indefinitely. Providing governance and justice is the civilians’ job. And there is no evidence of civilian institutions or a police force to do the needful. So the Taliban may return to fill the vacuum, as they did before. Moreover, the fear is that even in the Bajaur agency of the Federally Administered Tribal Area, where a huge military operation created almost 300,000 refugees and devastated the territory, the Taliban may stage a comeback. The military says it opposed the latest Swat deal, as it was to earlier deals. The provincial government of the Awami National Party states that the military sought the deal as a respite because its soldiers were unwilling to fight. The federal government threw the hot potato of the deal into the lap of parliament that hurriedly approved the deal. As yet, there does not seem to be any strong evidence of discontent in the ranks of the army. But the growing frustration of the soldiers is understandable in a battle that seems unending. Show through its actions and public (not closed-door) deliberations that it is urgently and actively engaged with the issue. Zardari’s prolonged absence from Pakistan during this time of crisis has raised eyebrows. He needed to be back in Islamabad, working with his prime minister and the Army Chief to come up with solutions to the rising crisis rather than continuing his two-week overseas tour. He left Pakistan for Libya on April 30, then went on London and the United States, stopping in London again and Paris on his way back. While it is important to meet key world leaders, the signaling effect of his actions is important in Pakistan and for allies that have promised to help. Much more important is the need for actions that will restore confidence in his government’s ability to meet this huge challenge. If Pakistan is indeed at war, as it seems to be, then Zardari could begin the reform process by disbanding his 67 plus cabinet of featherbedders and replace it with a small and effective War Cabinet of the best and brightest from all parties and segments of Pakistani society. He could ask the government and the military to produce their plans for post-kinetic actions in Swat. And he needs to have in place a robust and comprehensive communications strategy to counter the Taliban’s propaganda and to share with civil society information on what is being done and why. He has an economic plan that worked at the Tokyo meeting. He must make it work now. The Tokyo pledges and Washington parleys should have convinced Zardari that Pakistan’s friends in the United States and elsewhere are willing to help. But they need proof that Pakistan is willing to help itself first. Zardari needs to grasp this opportunity to turn things around rapidly before civil society, or the military, decides to take matters into its own hands yet again. Shuja Nawaz is director of the South Asia Center at the Atlantic Council. 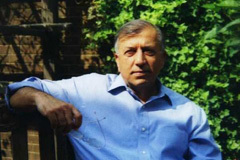 He is the author of Crossed Swords: Pakistan, its Army, and the Wars Within and FATA: A Most Dangerous Place.